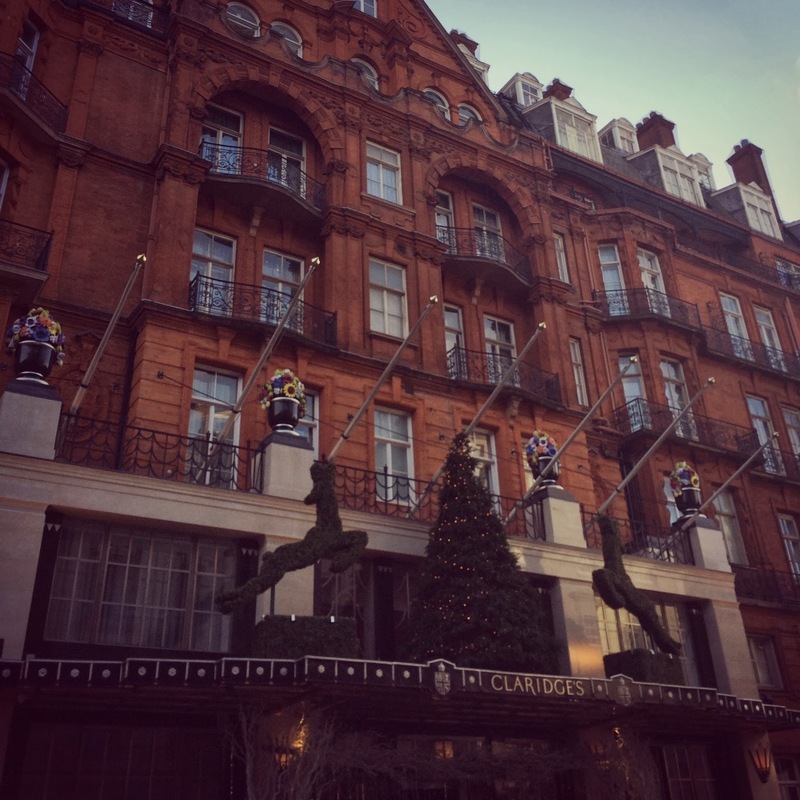 Many of you will know my adoration for Claridges, having been visiting regularly for almost a decade, and in the past four years a highlight, for me, has been the Claridges Christmas Tree. I was in town on Friday so between a press visit to Hermes and Saint Laurent, I decided to see this years tree designed by Dolce and Gabbana. 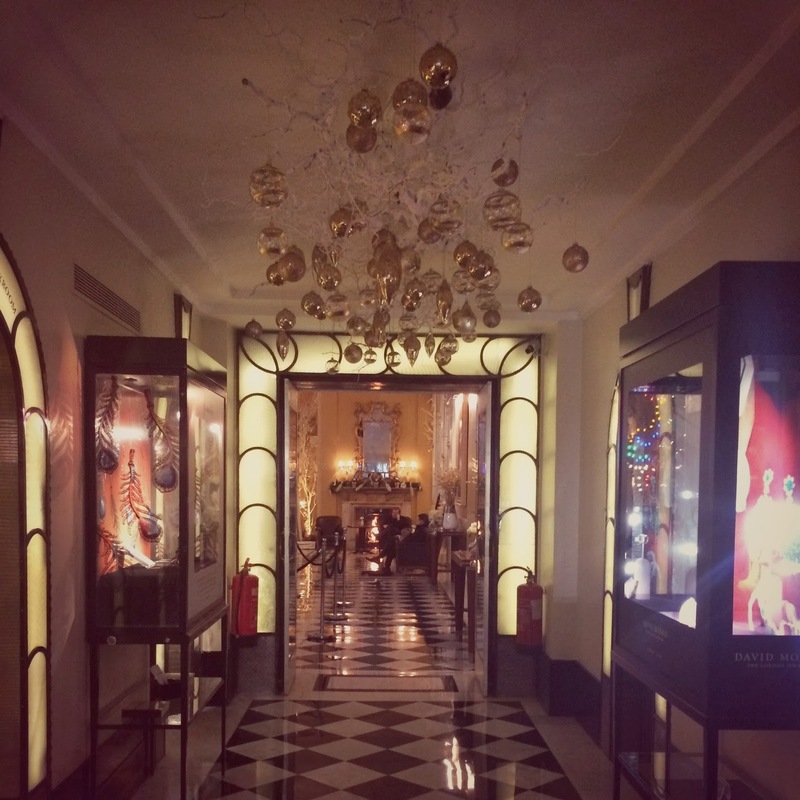 However, as you can see below, I nipped into the bar for a quick glass of Gassac before exploring the tree in the lobby. 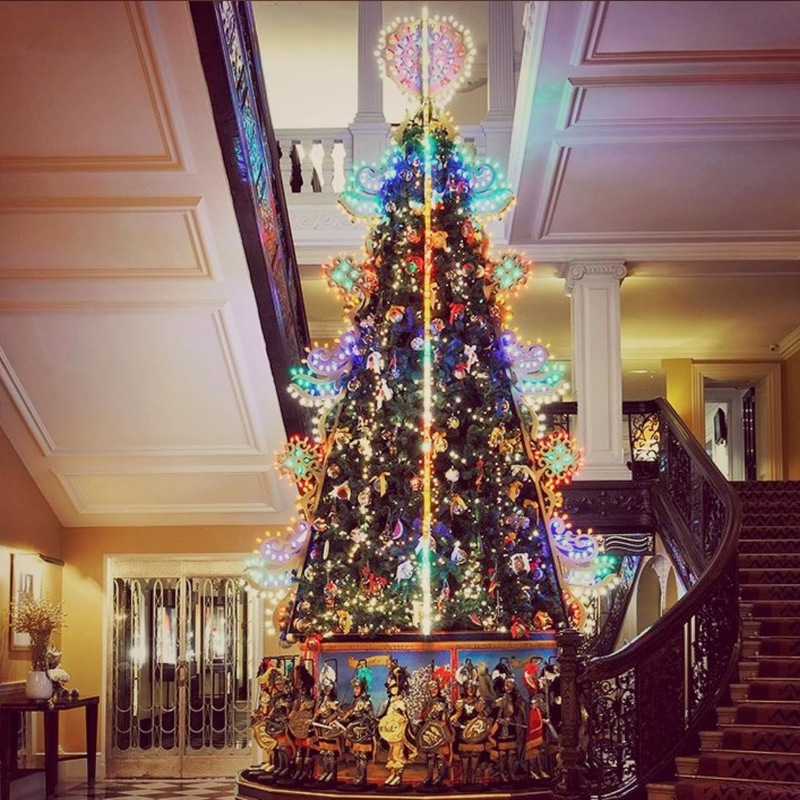 The 7 metre-high tree, which sits under the main, sweeping staircase is a a traditional interpretation from designers Dolce and Gabbana as it depicts iconic elements from a traditional Christmas tree. However it has been reinterpreted with Sicilian elements and draws on the Italian heritage and origins of the designers. Assembled by hand, as each branch and element have been shipped from Italy, it is alive with colour as the tree is adorned with more than 450 hand painted, Italian glass baubles blown by master artisans from Verona and Lake of Como, with images of the sun, citrus groves, flowering almonds and prickly pears to recreate the idea of a Sicilian garden. The vivid colours are just wonderful and the summer tones do not detract from the winter message, but any worry of this is washed away with the bespoke, multi-colored ‘luminarie’ – or frieze – framework, created in Southern Italy, that surrounds the tree and references the traditional illuminations seen in Italian streets and Piazzas during Christmas time. Again, colour comes alive in the base as the colors of green, red, yellow and blue feature heavily and have, apparently, have always been associated with Italian festivities. 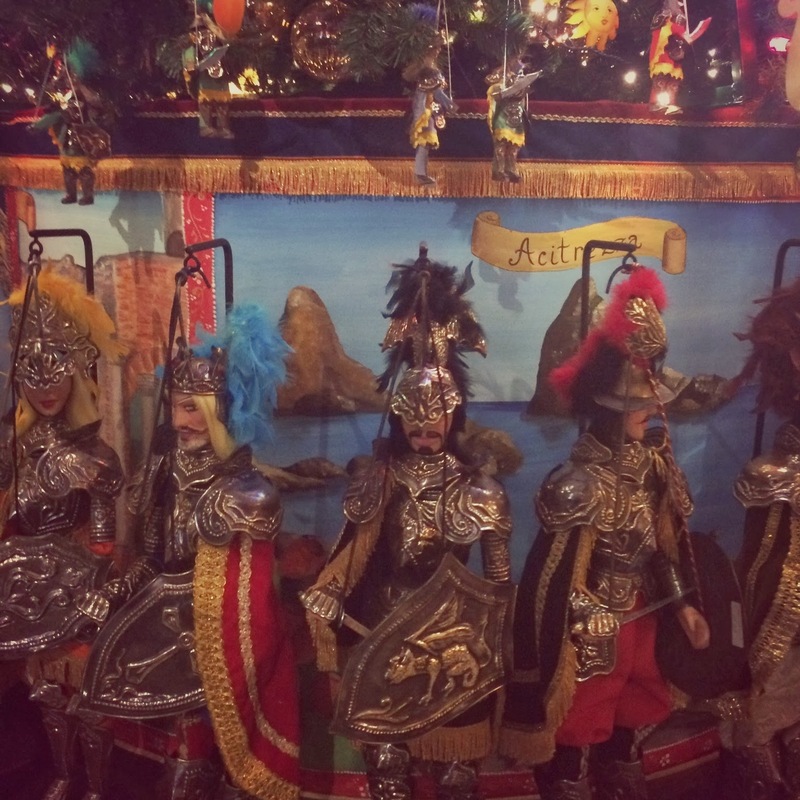 One element that confused me but did make me smile is at the base of the tree – 30 hand crafted Sicilian marionettes,or puppets – made in the likeness of Charlemagne and other medieval knights, carved in wood and dressed in velvet robes. Decadent and charming, however I am not a big puppet fan. 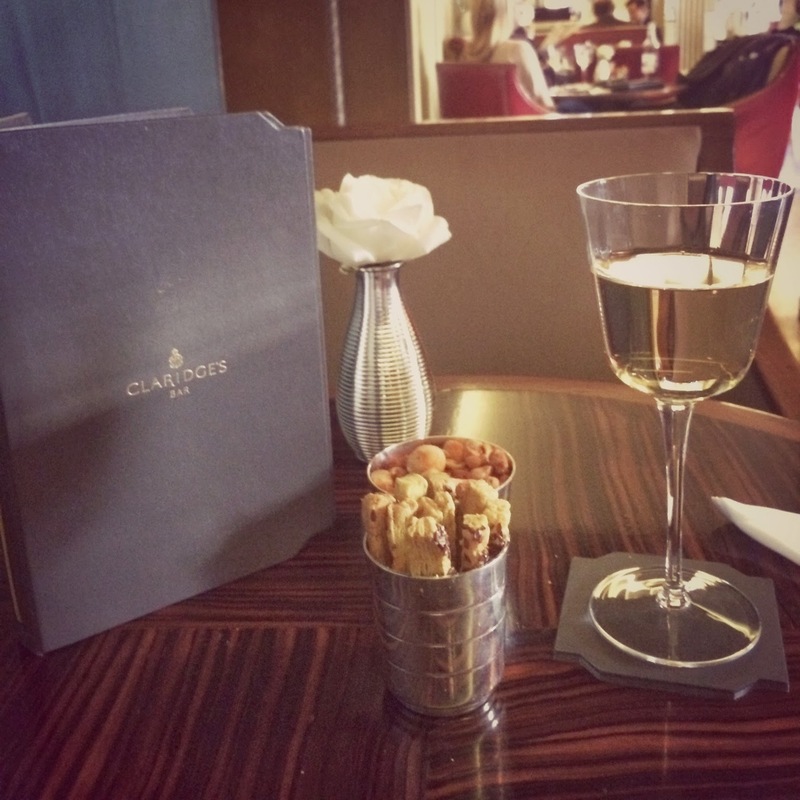 I will be back soon, before Christmas, but this really made for a lovely afternoon as the Claridges Christmas Tree always makes for a magical, seasonal experience. 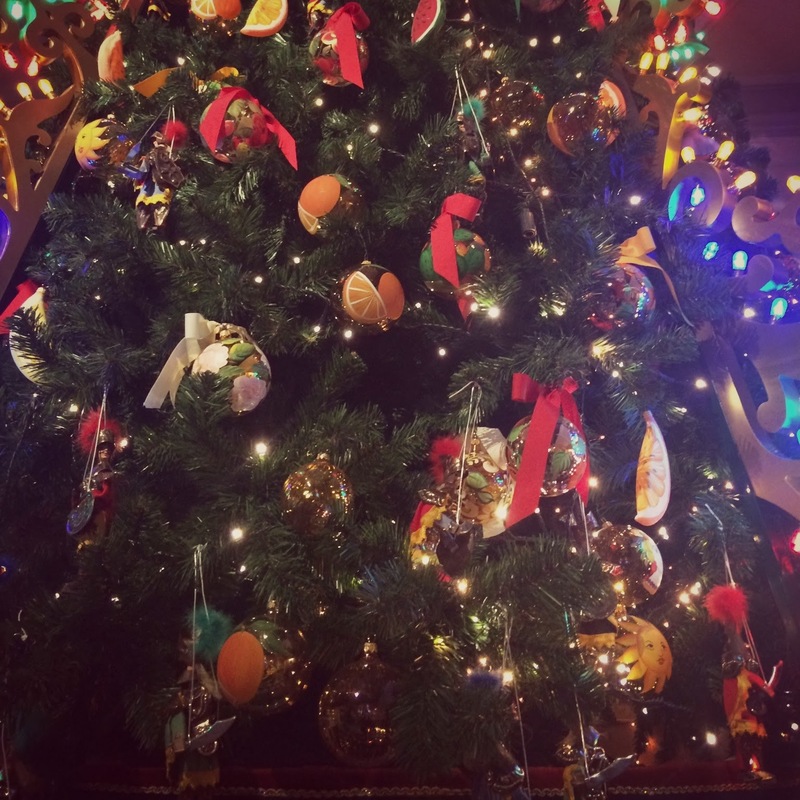 I really recommend stopping by for a quick drink in the bar between Christmas shopping and taking a few minutes to explore the tree – but don’t stay too long, getting a seat is a nightmare…!